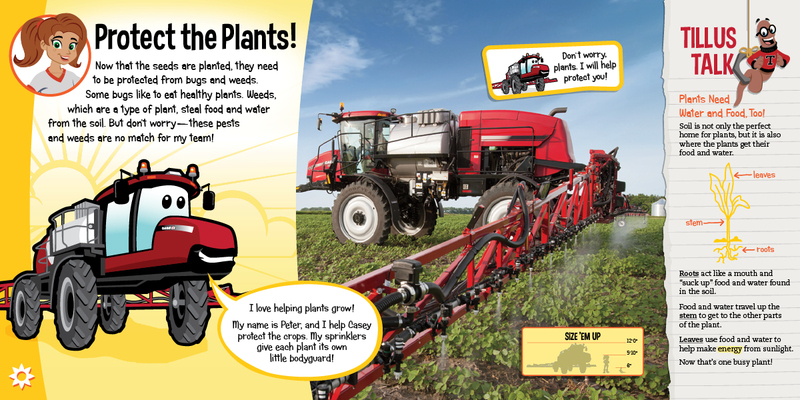 A Year on the Farm introduces children to the world of modern farming, showing the tractors, combines and other equipment needed to plant and harvest crops. 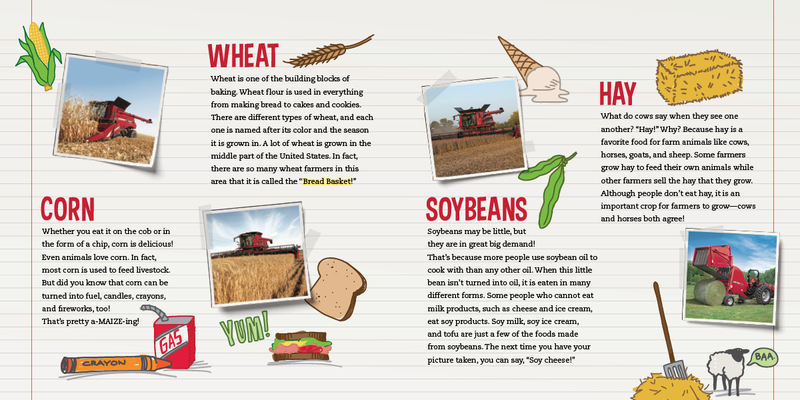 The book is filled with photographs of equipment at work and a cast of illustrated characters including Case the farmer and Tillus the worm, and a whole team of equipment characters. 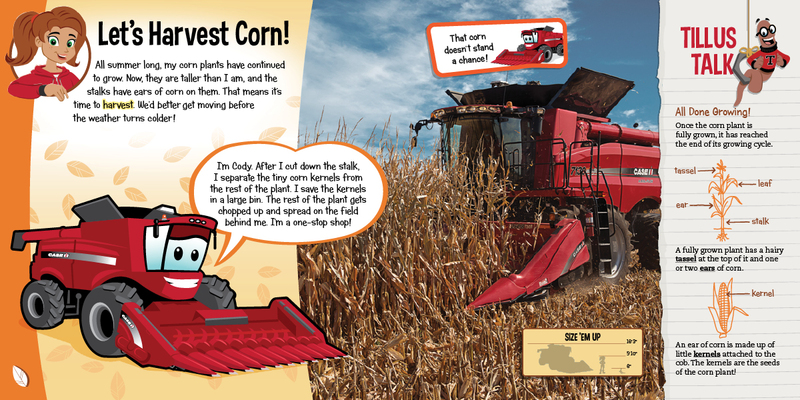 Casey and her farm equipment friends teach readers about the different jobs a farmer does each session. 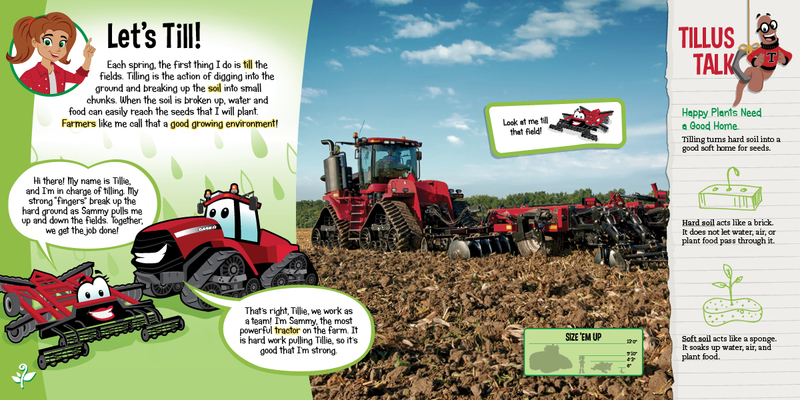 Children will learn that modern farming involves planning for the farm year, reacting to the weather and working hard as a team. Recommended for ages 4-8.